Congratulations to Mr. T-Thawat Taifayongvichit (MUIC Alumnus #558)! His short film, “Soi Soonvijai 14,” was selected for screening at Busan International Short Film Festival (BISFF 2017) on April 25-30, 2017. “Soi Soonvijai 14” was also the winner of the White Elephant Award (Best College Film) at the Thai Short Film and Video Festival 2016. We are so proud of you! 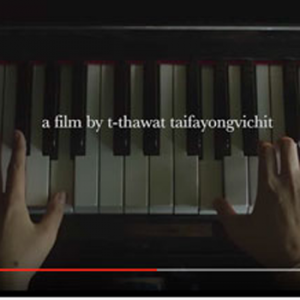 Mr. Taifayongvichit, who majored in Film Production, graduated with first class honors on 2015.